Homeless people in the Dutch cities of Amsterdam and Rotterdam have been testing a jacket equipped with a contactless terminal to enable passersby to tap their contactless cards and make a €1 (US$1.04) donation, which can then be redeemed through official homeless shelters. 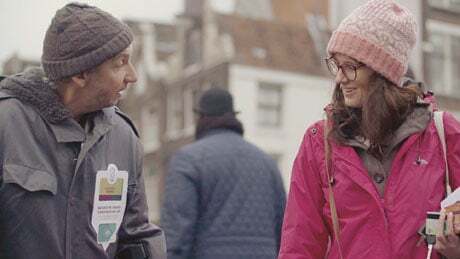 The Helping Heart jacket has been designed by a Dutch advertising agency to make it easier for people who tend to carry little or no cash to help others, N=5’s Merel Hoogendorp told NFC World. “In a warm and comfortable winter coat, we integrated a device which allows people to donate one euro by tapping their card on it,” Hoogendorp says. “The only way to redeem the money received this way is through one of the official shelters. “Several homeless people were involved in trialling this prototype jacket,” Hoogendorp continues. “With this prototype, we want to test different scenarios to not just identify improvement areas from a product perspective, but also to identify potential partners with which to roll this idea out further. “We’ve received a lot of positive feedback, most notably from the homeless community,” Hoogendorp adds. “They have embraced the fact that it takes away the concern of how your donation will be spent. What an excellent program! As a volunteer Director of a homeless feeding site I can certainly see this as a win/win for all involved. We need this in the US!